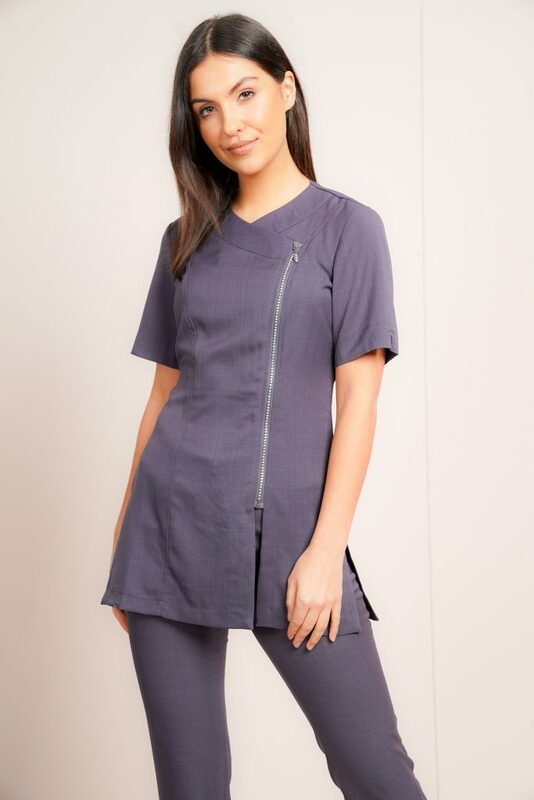 This figure fitting tunic offers a simple and classic look. The asymmetrical neckline and pleat detail give it a little flair in the front, while the back zip fastening is perfectly subtle. Produced from 100% soft twill polyester. 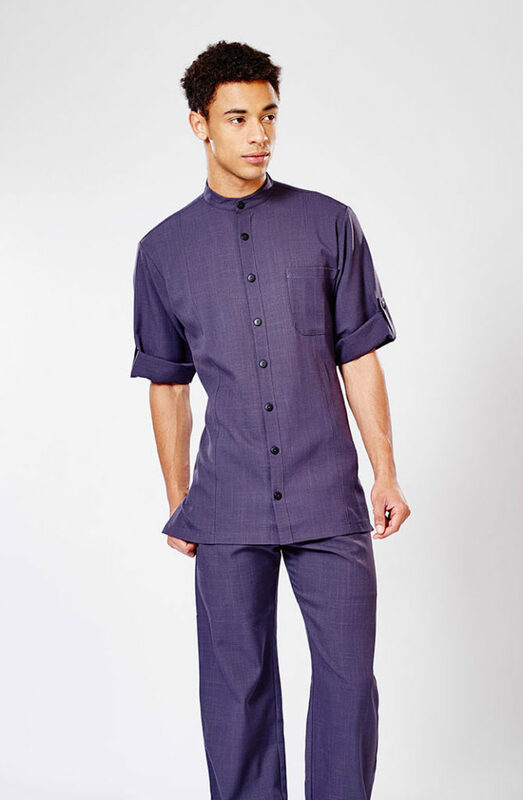 The pleat is a great way of injecting some detail without the hassle of buttons or zips. 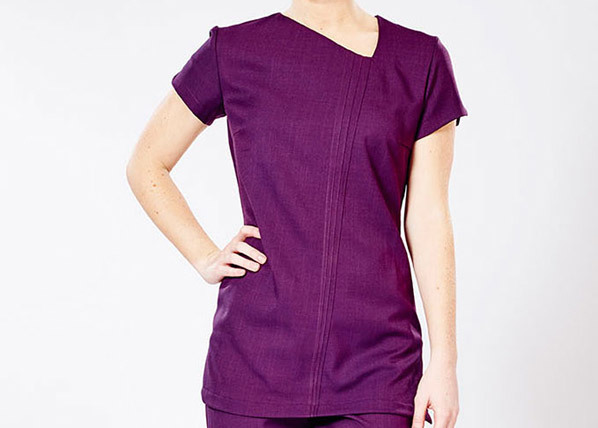 Ideal for those who want a fuss free uniform without compromising on style.